As a homeowner, your workshop may be the only place to work on home projects. As one of the more durable and spacious locations in the home, the garage is one of the best locations to set up a workbench, store tools and supplies, and complete the home projects you wanted to get done 4 months ago. But before you set up shop, we would like to walk you through an important factor in using a workshop in the garage—safety. What do you need in your workshop? Whether you are working on your automobile or a have a complete wood shop, there are certain things that you should have installed or on hand that will keep you or your family safe. Placement: Make sure you light the garage where you will need it most. Examples would be lights placed over a workbench or the area of the garage that corresponds to above the vehicle engine. Safety: Avoid Lighting that will create shadows or will be hard to replace. Bulb Type: For proper lighting for your workshop, it is highly recommended to use fluorescent bulbs. For more information on lighting your garage, take a look at a recent blog: Choosing the right lighting for your garage. Are fuse and breaker boxes up to Code and in good working condition? Are tool cords and extension cords kept secured and out of the flow of traffic? Are extension plugs and cords being used properly – not overloaded or used in relay? Keeping your garage organized is one of the first safety tips you should follow, but even more so when you have a workshop in your garage. Are lawn and garden tools and supplies safety stored off the floor and out of the traffic flow? Are hazardous and flammable liquids properly marked and stored away from equipment such as furnaces, hot water heaters and gas dryers? Follow our list of 6 steps to planning garage storage to get started today! Is there a functioning fire extinguisher at hand? Do You have a Smoke Detector working and properly placed? Did you follow the prior tips on keeping chemicals away from appliances and not overloading outlets? Is the area clear of cardboard, paper or sawdust that might become a fire hazard? Consider our advice on preventing garage fires for more advice on this. Eye protection is absolutely essential in much of the work done in workshops, including any work that involves power tools. In fact, it’s a good idea to leave goggles or safety glasses in a hard-to-miss location with respect to power tools — such as on the table of a drill press — as a reminder to wear them. Ear protection is important when using high-decibel power tools such as table saws and circular saws. If full-sized ear-muff style protectors aren’t available, at least use ear plugs. Finally, protecting your skin from chemicals can be accomplished using gloves, prevent burns while welding or soldering using proper gloves, vests, and sleeves; and be sure to use a vest for chest protection. Working with chemicals, sawdust, or brake pads? Protect your lungs. Long-term damage to your lungs may not seem as important as more immediate crushing injuries. But you’ll feel the pain, eventually. Yes, asbestos is gone from brake linings, but pad dust is still nasty stuff. A disposable particle mask is cheap insurance. And abandon that time-honored practice of blowing brake dust out of backing plates and calipers with compressed air. Chemicals leave fumes. Fumes are hazardous. For instance, if you were to epoxy-coat your garage, this product needs to cure over time and while curing, releases volatile organic compounds. Properly ventilating your garage will prevent you from damaging your lungs or in the case of an attached garage, anyone in your house. The easiest way to ventilate your workshop is with a fan; these come in a large array of styles and sizes. Industrial fans, which move large amounts of air, are good for a large space. Oscillating fans move back and forth to enhance circulation. Box fans are inexpensive and particularly handy for a workshop since they can easily be set in a window to bring in outside air, or turned around to draw out stale air. For a more sophisticated approach, a more elaborate system can be installed using ductwork, air filters and an enclosed fan to move air and return filtered air into the workspace. Don’t overlook the importance of an easily accessible first-aid kit inside your garage. Understandably, this isn’t going to help you if you were to chop off a finger, but the importance of a first-aid kit will allow you a line of defense for the minor injuries. Always keep a first-aid kit in the workshop, and always know where it is. First aid kits can be purchased, or can be assembled. Essential items include bandages, antiseptic wipes, gauze, scissors, tweezers and a cold-pack. Toolbox-sized first aid kits are available, and are small enough for easy portability inside a toolbox. All in all, if something goes wrong, a lifesaving tip is to make sure that you have an accessible exit always available, and a phone in case of emergency. 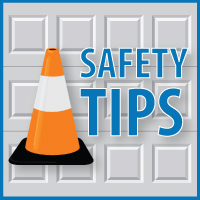 Blue Sky Builders hopes that you can remain safe in your garage, and hopes these tips will help you to stay safe while working on your next project. 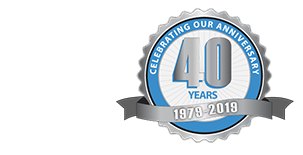 Looking for a garage door safety inspection before winter? Contact us for an inspection and more advice to protect your home.